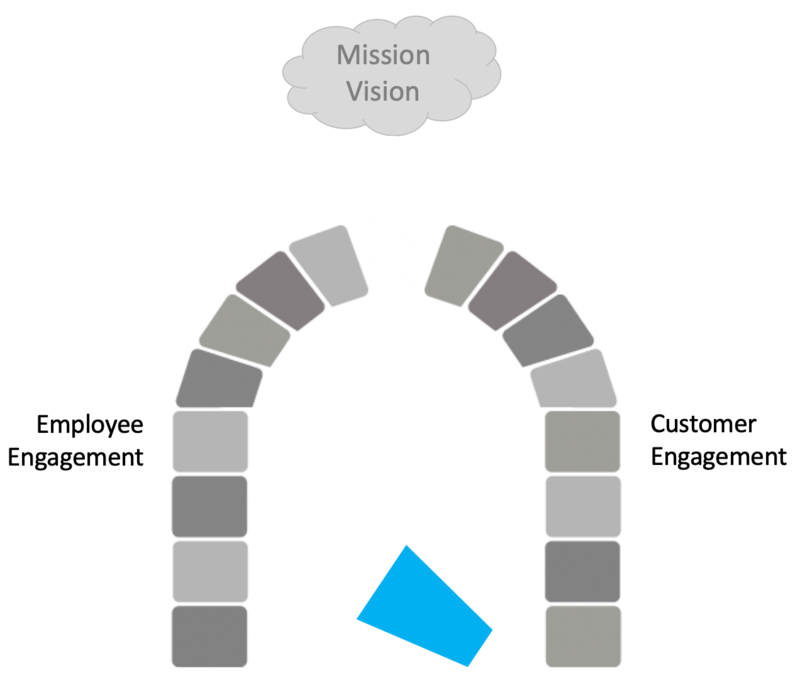 Companies and organizations often have Mission and Vision statements. They sound lofty. But we generally find that they don’t shape day-to-day behaviors. Why? Vision and Mission statements are not designed for practicality, simplicity, alignment, and engagement. They don’t hold the organization together and give clear direction and messaging. Internally, people are not on the same page – because there isn’t one “page” to go to. Sounds ironic, but – isn’t that the truth? Actually, the keystone is missing from the arch. In fact, what’s missing, for most organizations, is Clarity. One clear, straightforward set of words that informs all internal direction and external communication. This is why a keystone clarity document is indispensable. It sounds like this: This is our business direction. This is exactly what we do. This is the ideal customer we do it for. This is our how, our why, our value proposition, our narrative. These are our keywords and our stories. The keystone document outlines the critical elements that form the compass and GPS of the business. In plain, practical language – no jargon. Clarity is simple, distilled practicality. It is the foundation that gives any business 20/20 focus, and it communicates in human language. Clarity answers these crucial questions: WHAT IS OUR NICHE? WHO NEEDS US? And, HOW DO WE MESSAGE IT MEMORABLY? Shockingly, most companies, brands, and organizations do not have these elements clearly spelled out in plain, simple, “human-ready” language. That is why so many lose focus and lack alignment across both internal and external stakeholders. Intriguingly, what is true at the macro level – an entire company – is also true for departments within such companies; for volunteer organizations; for consultants and start-ups; and for individual professionals. 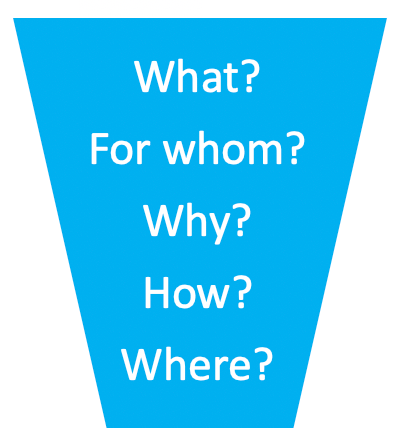 We all need to understand our What – For Whom – Why – How – Where. We all need to define our niche, and possess that compass and GPS to guide us. Some years ago, I consulted with the training organization inside a large healthcare company. Training was viewed, within the company, as merely a tactical “get-it-done” group with little distinguishing value. We developed clarity statements around the department’s identity, purpose, and unique value to the entire organization. The entire department was then transformed around those phrases, and a new culture was created. Everyone knew why they were there, what they had to offer, and how they were to collaborate with others in the company. The department rapidly expanded and took on new responsibilities, with the happy result of a fresh re-definition and re-branding a couple years later. 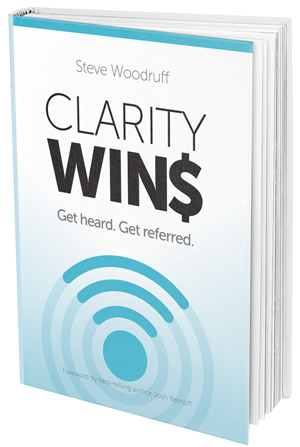 Companies spend hundreds of thousands of dollars annually on mis-aimed branding efforts, marketing campaigns, sales initiatives, communications endeavors – because the core elements of clarity have never been outlined. Even more – much of the internal dysfunction and disengagement that plagues companies stems directly from unclear direction and miscommunication that could easily be resolved with a roadmap of clarity. The time and resources lost due to lack of a shared roadmap and internal language is incalculable. Business jargon plus good intentions does not equal communication. As George Bernard Shaw put it, “the single biggest problem in communication is the illusion that it has taken place.” We assume people understand. That one wrong assumption drains untold dollars out of every business. The good news is that this is a problem that can be fixed! 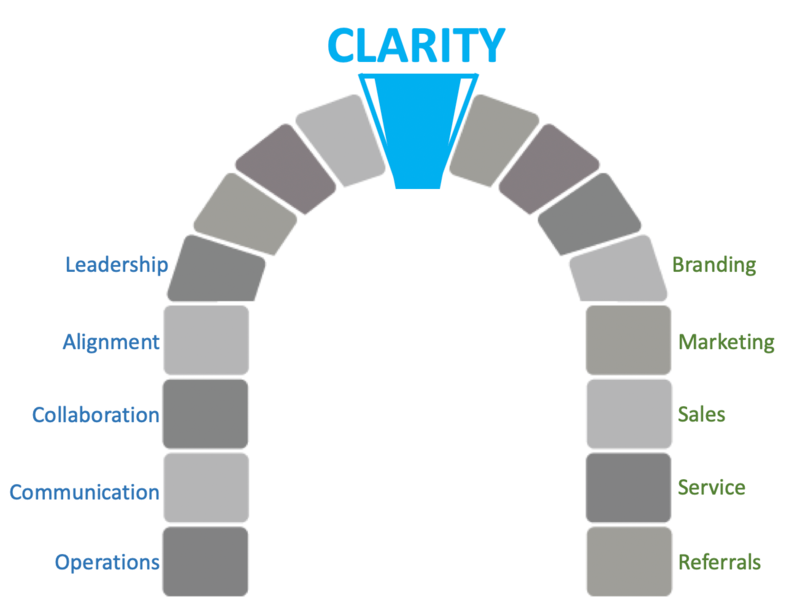 Any and every organization can have their own clarity roadmap – in a surprisingly short period of time – that sets the compass, creates 20/20 focus, and activates effective messaging. Contact us here at Clarity Fuel to set up a free 1/2 hour consultation and find out how you can gain clarity! Yes this is dead on. Simon Sinek has a neat yardstick called “The Celery Test” – you need to find the level of clarity and simplicity so that every employee gets it without even thinking about it. If you boil your mission down to “We Eat Healthy” everyone will know that celery is right and the bag of candy bars is wrong. When you don’t have it this tight now everything is open to interpretation and not everybody is on the same page. The work you do to get to clarity does not deliver incremental change, it leads to exponential growth.